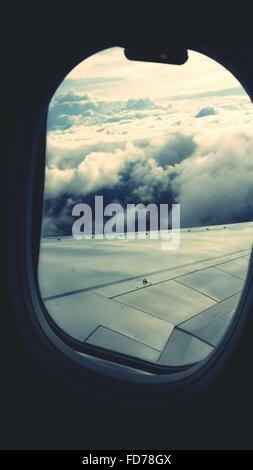 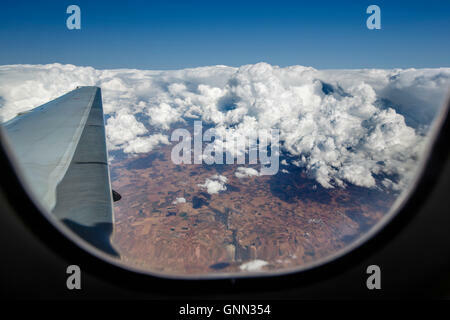 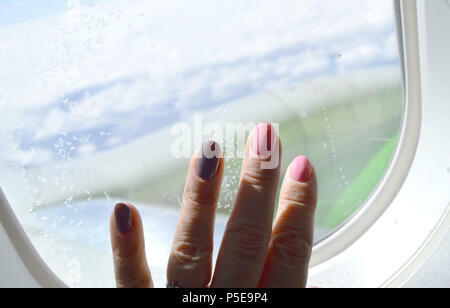 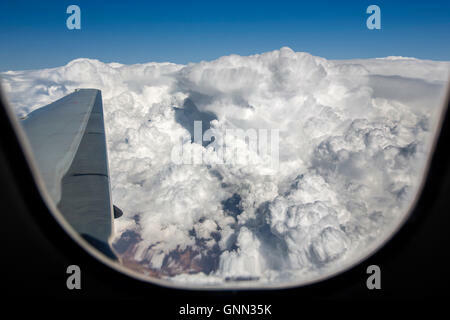 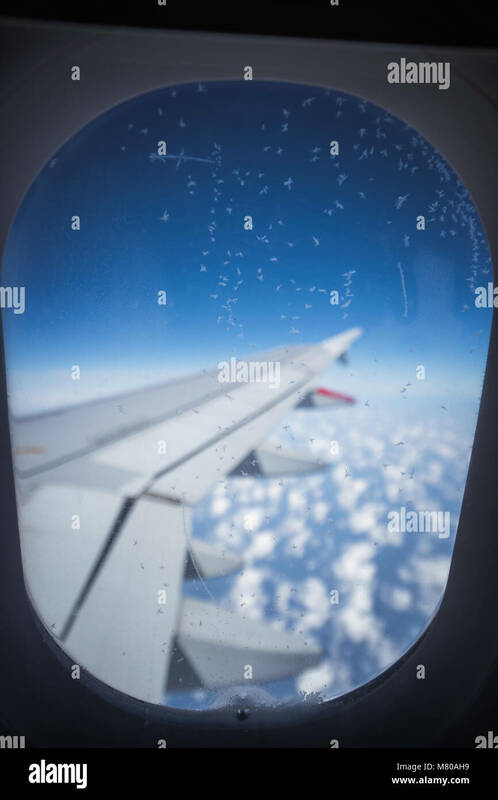 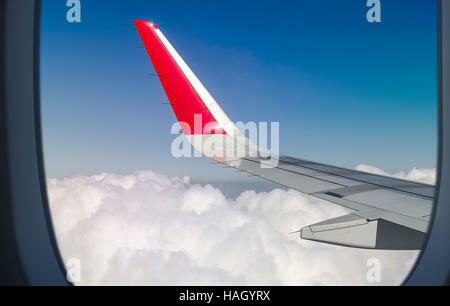 Clouds and sky as seen through window of an aircraft. 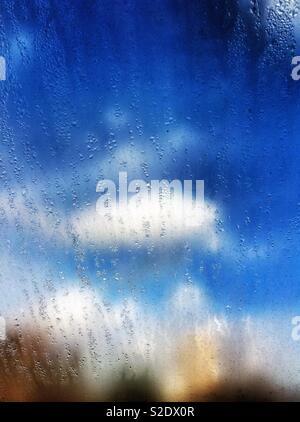 Small ice crystals on the window. 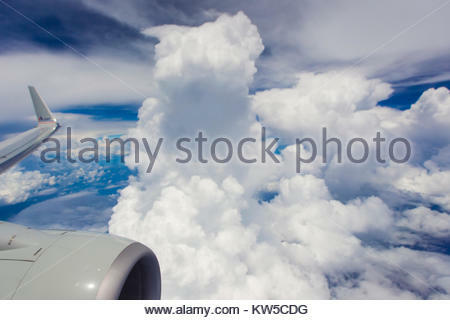 Cumulous cloud shooting up into the atmosphere, seen from a passenger airplane window. 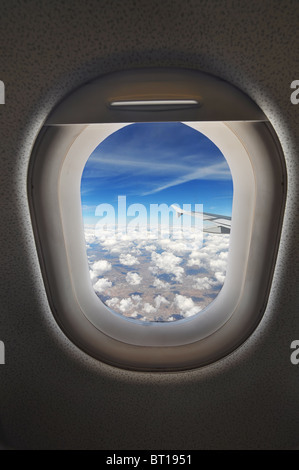 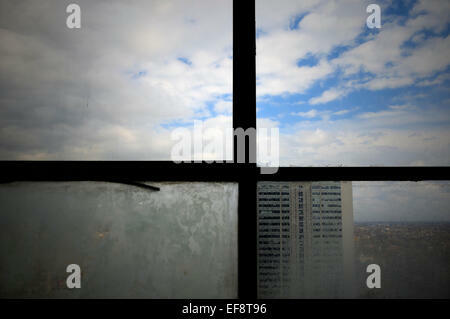 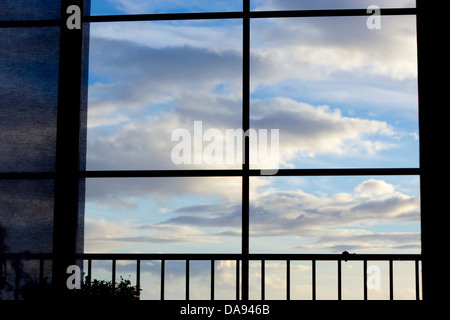 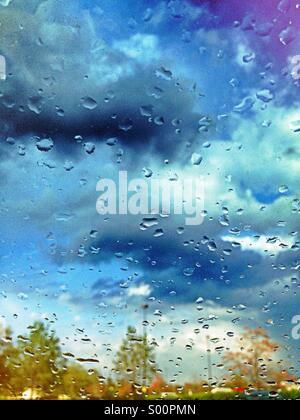 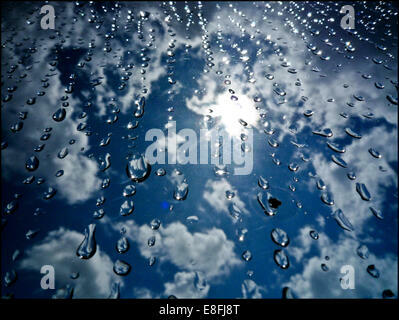 Blue sky with clouds seen through window.